$1,055.00 (Includes All Materials) . The secret to fine woodworking can be found in the pursuit of the fundamentals. With high-tech machines and power tools, these fundamentals can be overshadowed. In this class we will learn the values of design, drawings, mock-ups, sharpening, care and use of hand tools, tuning up a bench plane, layout, measuring tools, wood technology, choosing and preparing lumber, joinery (including hand cut dovetails and the mortise and tenon), safe machine and power tool operation and how to apply a hand-rubbed finish. 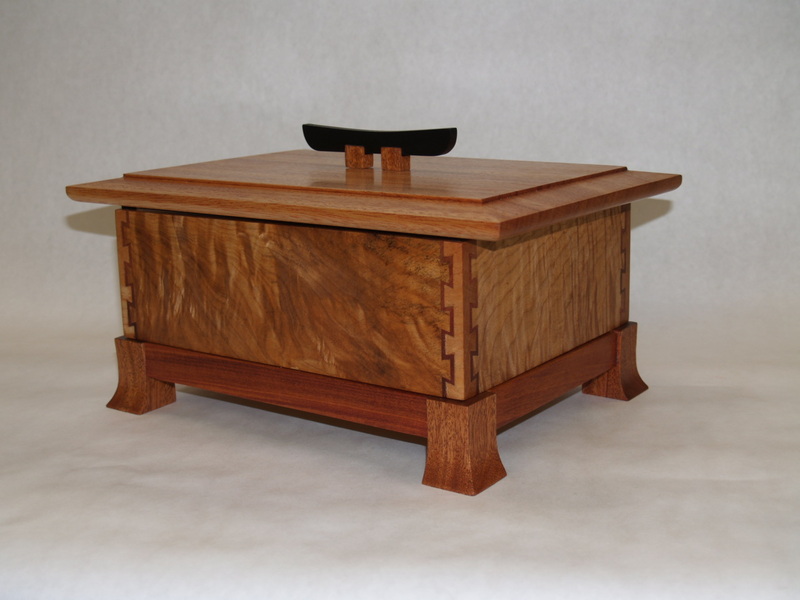 We will practice these skills by building a beautiful keepsake box. This class is not just for beginners but for all those who want to build a more solid woodworking foundation. For beginners with very few or no tools, don’t worry, we have tools for you to use and get comfortable with. These tools are ones that we personally use everyday and recommend, however, we’ll also give you our opinions on other brands and makes. At the end of the class, you’ll be well informed when the time comes to purchase your own tools. We will be dedicating some time for sharpening and tuning up hand tools, so bring any tools you want to sharpen.